Ellie is made from a fuzzy pink material with hints of blue. She has large, glittery pink and black button eyes and bright pink, sparkly material for the inside of her ears and feet. It always makes a great big sound! Ellie was released in January 2014. This is the regular 6″ version of Ellie. 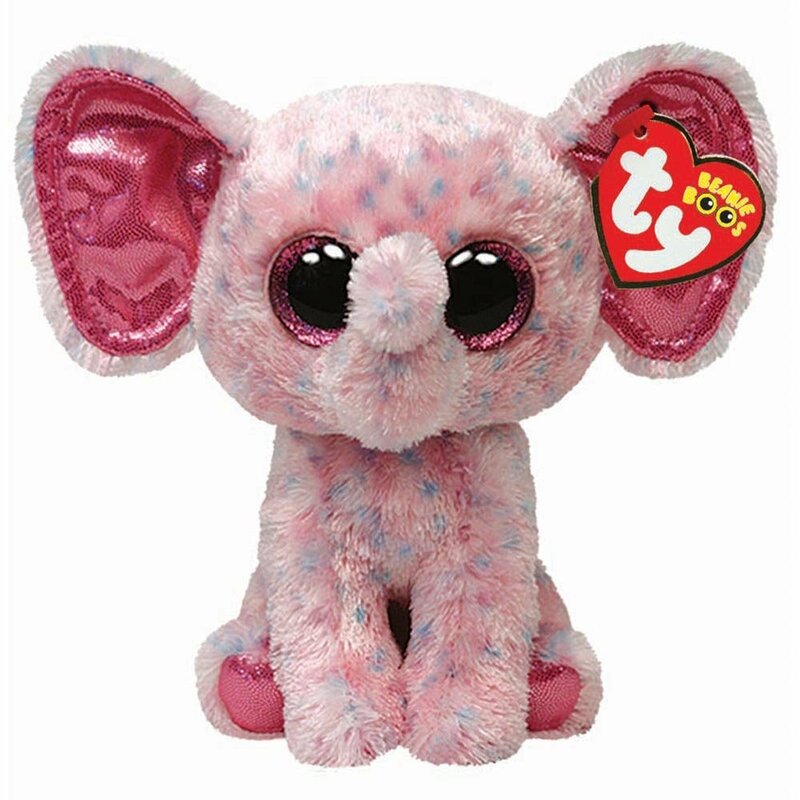 She was also released as a larger 9″ Beanie Boo Buddy and a large 16″ version. more reviews of BB’s! Bye! Ellie is awesome mainly because she is named after me! I love her cute stubby trunk and i also have her she’s a great addition to your beanie boo famly!